Summer has officially arrived here in the UK and we have even had a heat wave to mark it – we have had 5 consecutive days over 30C or 86F! I know for some of you in hotter climates this does not qualify as a heat wave but for us pale Britons we have been hot! As we approach these summer months life in the Heartcry office shifts gear and we tend to spend more time reading, preparing, writing and planning our schedules for the next season. So after a busy time of preaching, travelling and conferences the next two months are calmer with more time for reflection, friendship and recharging. With summer also comes time to read – so we are delighted to announce that my next book is ready and will be back from the printers by the end of JULY!! A new book has been born. For me, June has been a month of surprises. I had expected to recover my stamina much more quickly after my surgery but it has been a slower journey and I have had to be kind to my body! I have had to visit the hospital more frequently than expected but the wound has finally begun to heal more rapidly. It is one month now! As a result many of the conferences and the scheduled meetings that I expected to speak at this month have had to be reorganised with different speakers or new dates! Helen Azer has been amazing and filled the gap many times and travelled to Haugesund, Norway, to do the Women’s Network conference. Gordon has also been able to adjust his schedule and fulfil several of my appointments too. He has spoken at the Marsh Baldon Filling Station, and travelled to Exeter and Barnstable to encourage the prayer leaders and churches in that area. So although the schedule has been different we have managed to get the job done and people have been understanding and blessed. However, in the midst of all the schedule reshuffling I was able to travel to Folkestone and speak at the Eden Conference. God supernaturally enabled me to share the prophetic cry I had for this conference and it was special to watch the impact of the word on people’s lives. God is so good. I slept for the next 3 days but it was good to preach again! All this month I have just had one phrase resonating in my spirit – “This is the time to recover ALL!” In the natural it has been a time of loss, difficulty, frustration and financial challenge. In the nations there has been political upheaval, terrorist acts and insecurity. Personally Gordon had an accident and badly damaged his car, my car needed unexpected and extensive repairs, the electrics in our house developed a major unexplained fault…a special celebration outing was cancelled and the expected refund refused…etc! As the mounting financial, emotional and time pressures of all these issues kept striking our family I just kept feeling God challenge me – do not react – recover all! So at the end of a month of challenge I stand and feel that God has a surprise for us – He will give to us more abundantly than we can think or imagine! Everything has been challenged and the enemy has tried to strip and steal from us but God has a recovery plan. So whatever your experiences in this last season – take hold of this promise – GOD HAS a RECOVERY PLAN! 1 Samuel 30:18-19: David recovered everything the Amalekites had taken, including his two wives. Nothing was missing: young or old, boy or girl, plunder or anything else they had taken. David brought everything back. Helen writes: It is in these tougher and more challenging seasons that we have choices to make which set the compass of our lives and ensure that we do life well. This is what we explored at the women’s conference in Norway which I had the privilege to speak at. They had chosen the scripture from Psalm 34, “I will praise the Lord at all times”, so in the first session we looked at the power of choice and of giving God our strong and committed “I will”. We then went on to discover the incredible power of praise. In the Hebrew language there are seven words for praise and, depending on the season of life, there is a different sound of praise which we need to make. Each of these sounds is like a key to unlock the full potential of each season – winter, spring, summer or autumn (fall) – God has the ability to train us to align our sound with His and overcome. So as we enter the summer months, let us not grow weary or complacent but let us re-commit to give God a renewed, confident and committed “I will”. Let us also choose to give one another a second chance and allow God to help us “recover all”! During July, the Heartcry office will be closed for a couple of weeks while we as a team take some vacation and family time so the ministry schedule is not as full as usual. 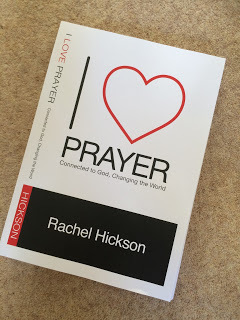 We will not send out an August newsletter but we will let you know when Rachel’s book is released and give you information on when and where you can get your copy so do look out for a special update this summer. We would so value your ongoing prayer for Rachel’s full healing and for each of us that we might have good rest and refreshment. We look forward to seeing those of you in the UK up at the ONE Event in Lincolnshire later this summer where Rachel will be a main speaker this year.